Many homeowners in Roswell, Georgia, choose walk in tubs for their homes because of their therapy bathtub upgrades. Therapy tubs can provide anyone with a luxurious bath, but they also have the potential to provide temporary, soothing relief for uncomfortable symptoms of various conditions, including arthritis, back pain, circulatory disease, nerve damage, and many more. When you purchase a new walk in tub, you can choose from a hydrotherapy bathtub, which uses air jets for an underwater massage; an aromatherapy bathtub, which drops scented beads into the bath water; or a chromatherapy tub, which creates a relaxing environment using underwater lighting that changes colors. Easy access – The low entrance barriers are only a couple of inches high, so they’re easy to step into. Comfortable seating – Because our tubs are twice as deep as traditional bathtubs, built-in seats can be at the ideal height for comfort to reduce joint strain. Convenient controls – The tub’s controls are simple to use and strategically placed so that they are always within reach. Other safety features – Your tub will also feature grab bars, slip-resistant surfaces, side grips, and a leak-proof door, for additional peace of mind. 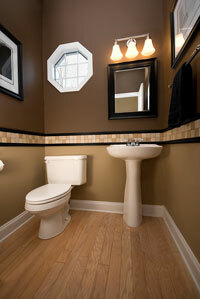 You can also rest assured that your walk in tub will look great in your bathroom. Our tubs have a sleek, modern design and are available in different colors so that you can find the ideal complement to your home’s décor. Please contact us today for more information about our walk in tubs for homes in Roswell, GA. We’ll happily answer any questions and provide you with an estimate.